Last month I had the absolute pleasure of attending the Irregular Choice Melbourne Store Launch Party. 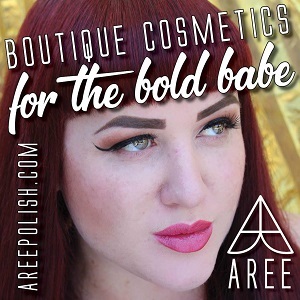 I've been in love with this brand for a while now but I've not had a chance to wear or purchase any of their amazing items. But the week earlier I made sure that I rectified this and purchased the most me shoes on planet earth from a local stockiest Shoe Fun who I've reviewed earlier this year. I wanted to purchase my first pair of heels but with the amazing selection I could not choose until I found the amazing Batty For You Heels. The event was AMAZING! As soon as we entered the Swanston Street store we were blown away with the bold colours, glittering, shimmering walls and all the amazing stock. Amazing tunes were pumping away and I met Denver who handed me some fairy floss. Now after a full day at work this was perfection. 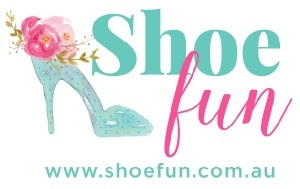 We chatted, met new amazing humans and drools over all the amazing shoes for sale. While we could not party all night long with the IC crew and guests we had an amazing time and left with the cutest gift bags and I might have scored a new pair of flats! 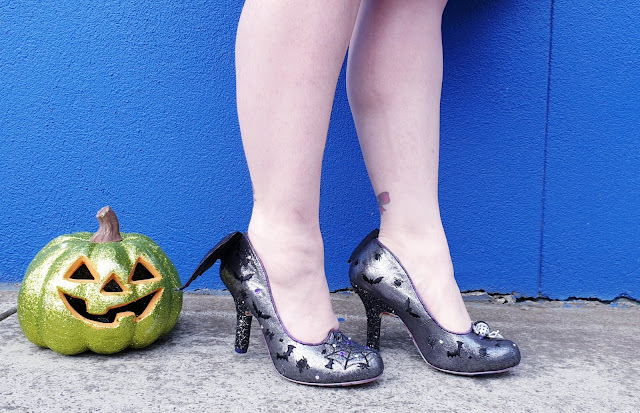 These amazing spooky Halloween themed heels were the inspiration for my full look. 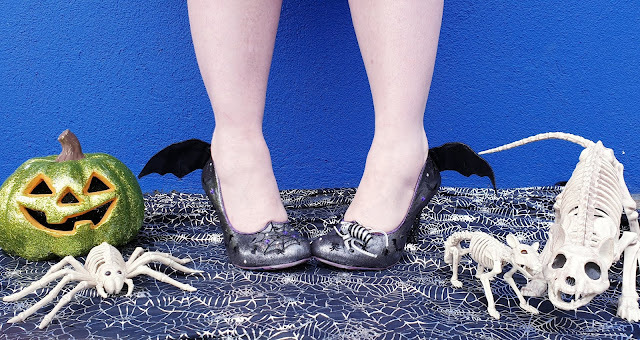 Featuring a 10cm glitter covered heel, gemstone embellishments, huge spider and black bat wings these shoes inspired me to purchase a stunning gothic pinup Dress from Vixen by Micheline Pitt and wear a bold black bat belt. 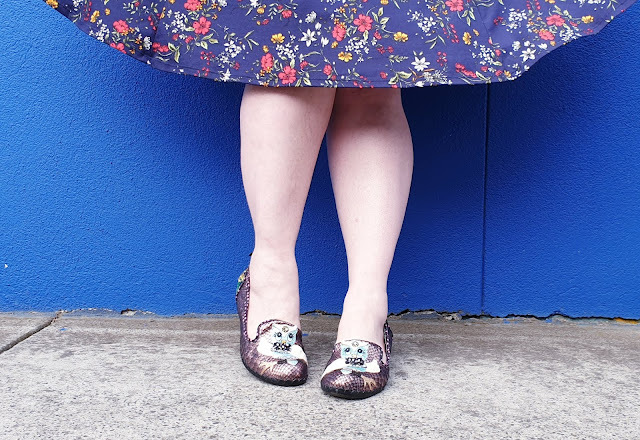 Each little detail on these super comfortable heels is bold, shimmery and whimsical. 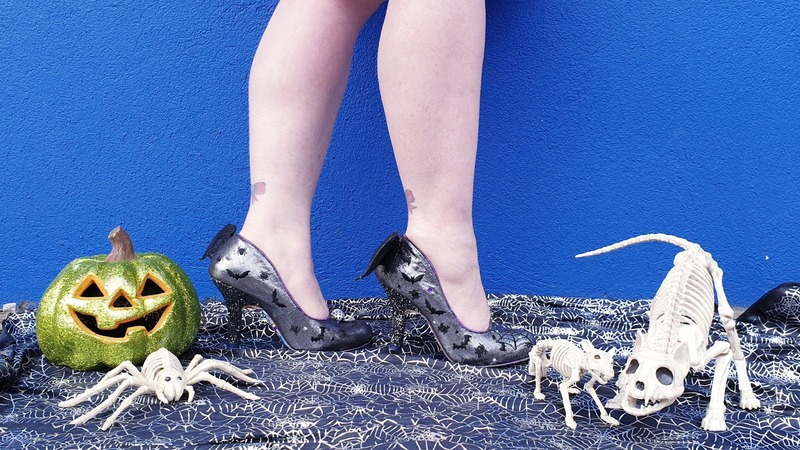 From the glittered spider webs to the posable bat wings they are more than just a shoe they are wearable art. While I have a size 10AU sized foot I was advised that these were a small fit so I ordered the 42 and they fit like a dream. What I love most about Irregular Choice is the attention to detail with each and every pair of shoes and accessories. 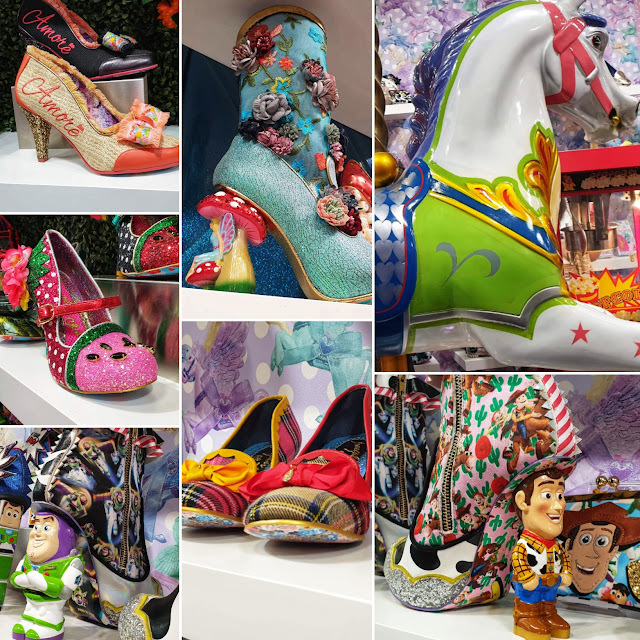 Each shoe is a work of art and absolutely mesmerizing on closer inspection. From every angle their amazing creations are magical and you'll be 100% addicted, much like myself, once you buy your first pair. So what did I snap up from the Launch. While I wanted to bundle up every high and low pair of heels there, some booties and wedges I was actually gifted an amazing pair of flats. 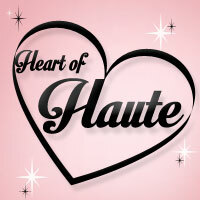 Yes you read that right the queen of epic high heels loves flats! I'm forever struggling to find a pair of flat shoes that fit both comfortably yet don't look odd. I've owed many pairs but I find they loose their shape and can be super boring. But now that I have the Hooting About shoes in my world I'll not have to worry about that again. 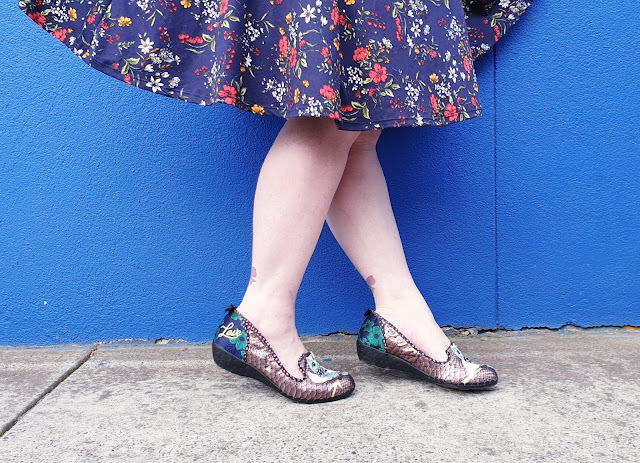 These stunning slip on's have it all - glitter, scales, test, embossed base and the sweetest and very detailed owl. These shoes are so comfortable and I swear it was a fight between my husband and I on who will be wearing these as we are the same size in shoes. 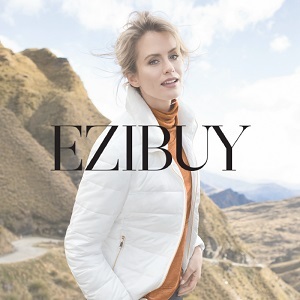 The perfect style for work if you want to add a little sparkle to your wardrobe, for weekend brunch dates or any casual outfit. 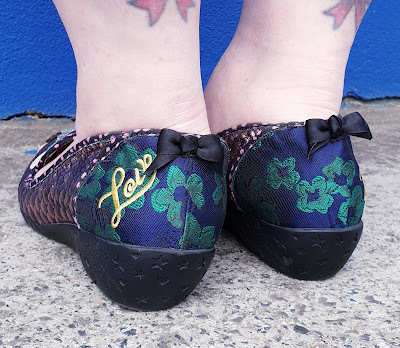 I'm wearing these in the 42 as well and they have a tiny bit of room but I find that is the case with most of my flats. This is easily fixed with the addition of IC inserts which as cute and detailed as the shoes. I can't wait to add more and more of these stunning creations to my collection as nothing makes me happier than bright and brilliant shoes.